Like other Miyazaki films, The Wind Rises charms the viewer with its pastel landscapes and simple, yet appealing characters. The script is based on the true story of Jiro Horikoshi, the engineer who designed the bombers that were used by kamikaze pilots in WWII. It was pleasant to watch but, in the end, turned out to be a very straightforward story about a rather ordinary man, who is never depicted as having to make tough choices, since at each fork in his road, he seems to feel that he essentially has no choice. I felt that there were some hints early on in the film that serious and politically sensitive topics, such as the morality of the use of violence and perhaps a reckoning on the responsibility a creator has for how his designs are ultimately used, were going to be addressed. But the filmmaker seems satisfied to limit his exploration of these issues to a few cranky remarks made by Jiro’s cynical and snarky best friend. To be fair, I don’t know if these issues could be addressed in any satisfying way, but the way the movie flirts with these topics and then drops them is a needless disappointment. For a while, it looked like the movie was going to dramatize how Jiro came up with his innovations or show us how brilliant they were relative to the technology of the time – in which case, I was getting ready to give kudos to the filmmaker for tackling the difficult challenge of making engineering both interesting and understandable for the lay public. (This is definitely a difficult but not impossible feat because the rare movie has accomplished this in the past, Apollo 13 being a shining example.) But no, disappointed again. I must credit the excellent voice acting (I saw the English dub, with Joseph Gordon-Levitt playing the lead) for giving way more personality to the characters than would have been expected from their rather mundane lines and also for making me enjoy this movie on an emotional level despite feeling kind of irritated at it on an intellectual one. 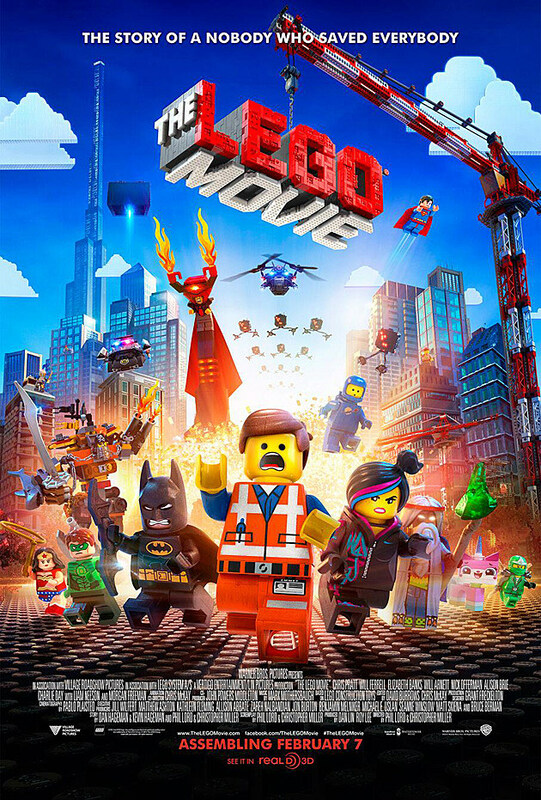 The first three-quarters of this movie plays as an enjoyable, kinetic, somewhat random ride, with cameo appearances from multiple LEGO-affiliated franchise characters, and more than a little borrowing from The Matrix for its plot and main characters. I was ready to dismiss it as a 2.5 star effort, with a few funny moments, but no really inspired message. However, near the end, a larger plot is revealed which cleverly explains the randomness in the earlier parts of movie and also happens to carry a rather profound message uniquely relevant to LEGO’s multi-generational appeal. Yeah, that’s how good the twist is. I will say no more.